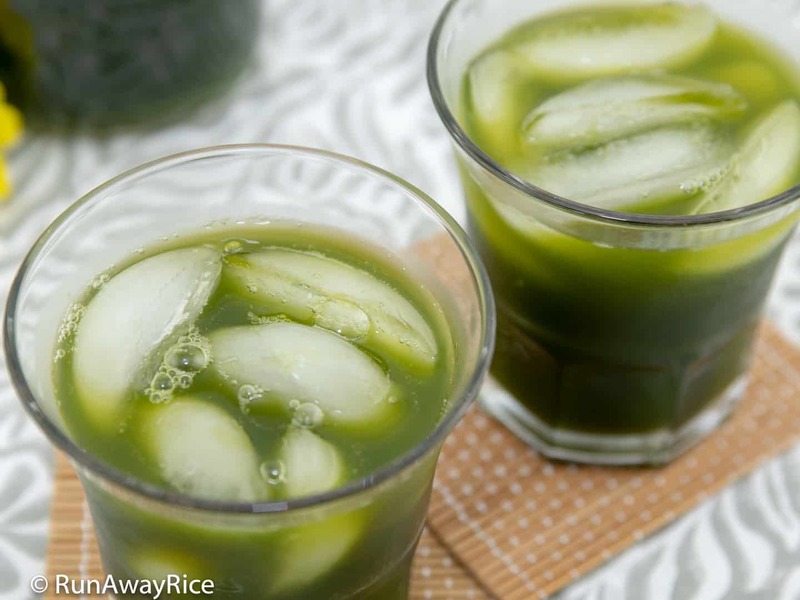 Enjoy healthy and refreshing Pennywort Juice (Nuoc Rau Ma) at home with this easy recipe. This delicious green juice is made from the leaves and stems of the Pennywort plant, a herb indigenous to Asia. 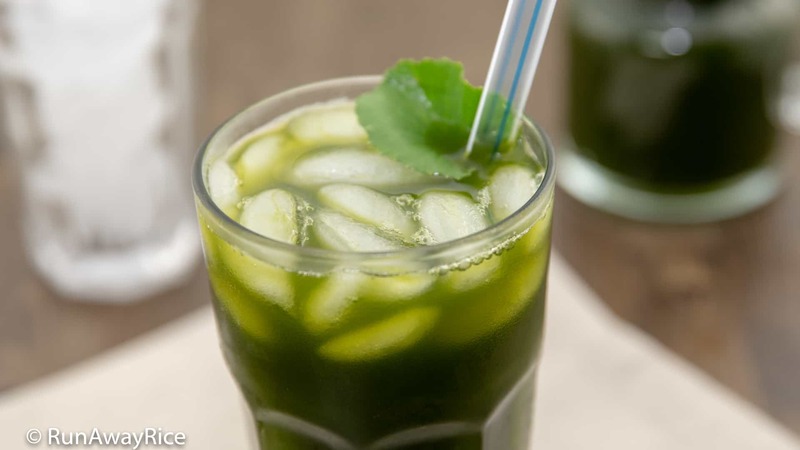 Pennywort Juice is loaded with vitamins and minerals: B, K, calcium, zinc, and magnesium. From an Asian medicine perspective, Pennywort has cooling properties helping the body to balance heat. Pennywort Juice is also believed to have many therapeutic and medicinal benefits. I can’t attest to all the healing powers of Pennywort Juice but I love its freshness and how healthy it makes me feel! Some green drinks have a strong, grassy aroma and taste which can be a bit overwhelming. 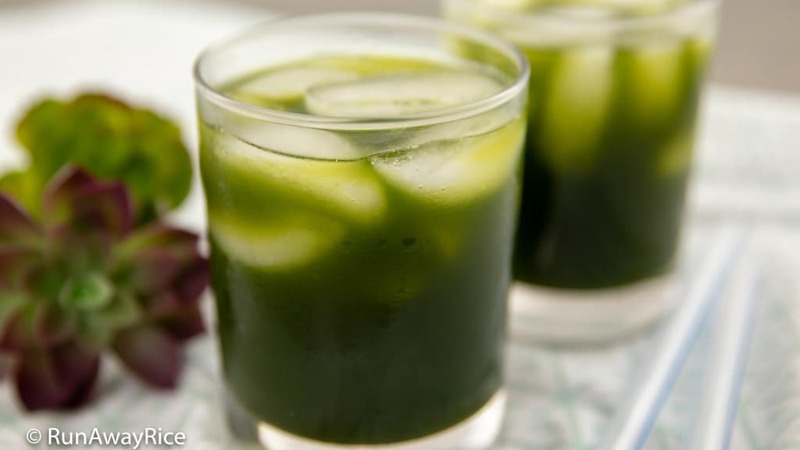 Pennywort Juice has a mild taste and aroma, similar to asparagus. I’ve been drinking Pennywort Juice for as long as I can remember and I love it! If you’re new to Pennywort Juice, I hope you give it a try and share your thoughts with me. Pennywort is sold at many Asian grocery stores, particularly ones specializing in Vietnamese, Thai, Indian or Burmese food. Other names for Pennywort are Centalla and Gotu kola. The herb is typically packaged in plastic bags and sold by weight. I purchase my Pennywort at Saigon Supermarket (Garden Grove, CA) for $3.99 per pound. Pennywort has a short life span because of its delicate leaves. Juice the leaves within 1-2 days of purchasing for maximum freshness. To prolong the life, wash and dry thoroughly using a salad spinner. Wrap small bundles in paper towels and store in a sealable plastic bag. Store in the refrigerator and the Pennywort with keep fresh for 1 week. Pennywort is often really dirty so wash it well. I find the easiest way to wash it is in my kitchen sink where I have plenty of room to swirl the herbs in the water. (Be sure to clean your sink with soap and hot water first.) Wash the herbs until the water is clear and sediment-free. I typically wash the leaves 3 times. I use a ratio of 1 cup (240 ml) water to 1 oz (28 g) Pennywort. Pennywort is voluminous but light in weight. 1 oz, lightly packed, is about 2 cups. Add more or less water depending on how thick you like the juice. I am using the Vitamix 7500 blender which is a really powerful machine. I blend on Speed 5 for about 1 minute. I don’t use a higher speed because it causes the the juice to get really foamy. If using a smaller or less powerful blender, make the juice in 3 batches as to not overwork your machine. Adjust the sugar to your taste. 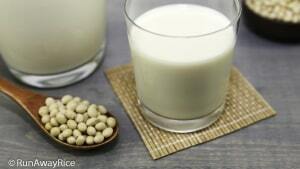 Optionally, use honey or a sugar substitute. Like many fresh juice drinks, Pennywort Juice oxidizes and loses its nutrients over time. Refrigerate the juice in air-tight jars. Enjoy the fresh juice within the week. Freeze the juice for up to 3 months. 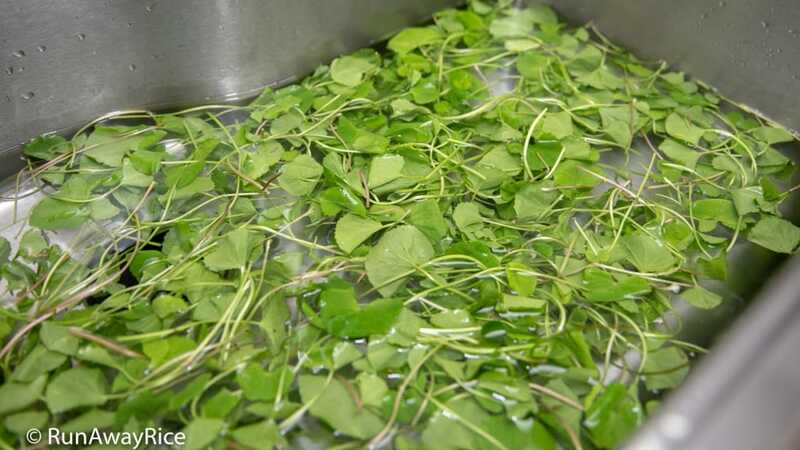 Transfer the pennywort into a clean sink and fill with cold water. Immerse the pennywort in water and swirl gently to remove the dirt from the leaves and stems. Discard any wilted greens. Repeat this washing process 1-2 more times or until the water is clear and free of sediments. Add half of the cleaned pennywort into a blender. Add 4 cups water. Blend on Medium speed until the pennyworth is completely broken down. Pour the juice through a fine sieve. Use a spatula to press the pulp and extract the remaining juice. Discard the pulp. Repeat the same steps to make the second batch. Skim off any bubbles on top of the juice and discard. Add the sugar and stir until dissolved. Serve the Pennywort Juice chilled or over ice. Refrigerate the remaining juice in an air-tight jar. Enjoy the fresh juice within the week. 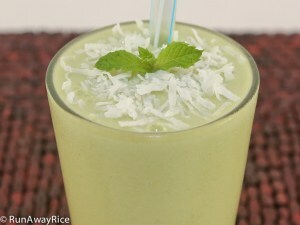 Enjoy healthy and refreshing Pennywort Juice (Nuoc Rau Ma) at home with this easy recipe. This delicious green juice is made from the leaves and stems of the Pennywort plant, a herb indigenous to Asia. 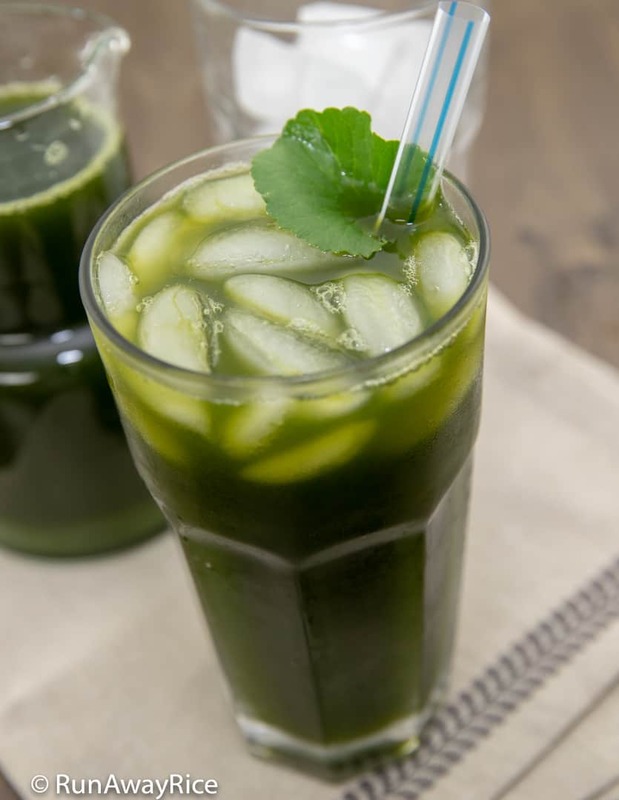 Pennywort Juice is loaded with vitamins and minerals: B, K, calcium, zinc, and magnesium. 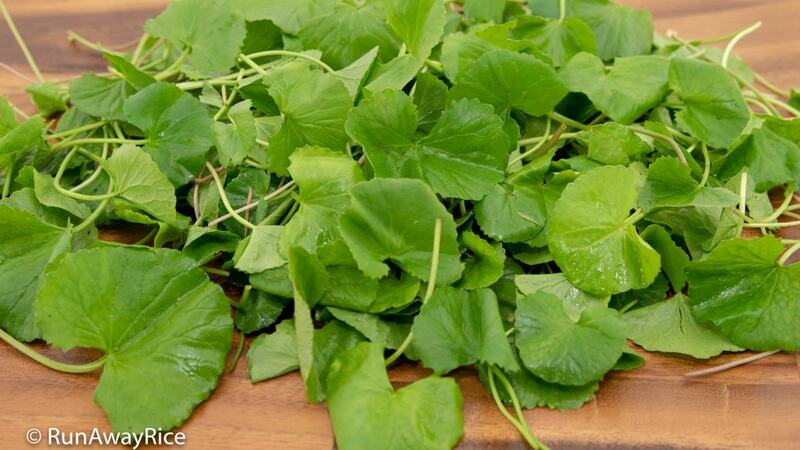 From an Asian medicine perspective, Pennywort has cooling properties helping the body to balance heat. Pennywort Juice is also believed to have many therapeutic and medicinal benefits. I am using the Vitamix 7500 blender which is a really powerful machine. I blend on Speed 5 for about 1 minute. I don't use a higher speed because it causes the the juice to get really foamy. 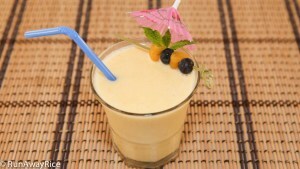 If using a smaller or less powerful blender, make the juice in 3 batches as to not overwork your machine. My family and I really enjoyed homemade pennywort juice. It took a bit of time to wash the leaves but so worth it because I know it’s really clean. (Also a great opportunity to thoroughly clean my sink first lol.) We finished the first batch in a day and I am off to the market to buy more leaves.